Wow, Vivid Sydney! You get Sydney out of the home hibernating. Thank you so much. Not all vantage points are created equal; especially with more Sydney venues happy to have some light shined on them more than ever. 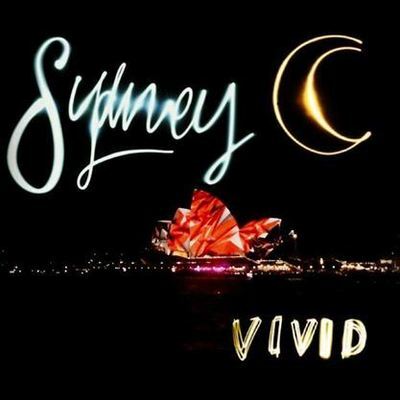 Which is your favourite Vivid Sydney vantage point? On this, do you prefer to stay on the ground, or are you happy to go to sea or even climb the Harbour Bridge for your Vivid Sydney experience? Too crowded on the ground, except for Customs House - that is tolerable. I visited the Vivid festival just last night and it was AMAZING, way better than last year. The only difference was that this year, I made sure that I didn't go on a Friday or Saturday night, because those nights tend to get ridiculously crowded. The vantage point I enjoyed was in Circular Quay by the Contemporary Art Museum (which was also lit up with incredible lights and images of course). From there I had a decent view of the Opera House and the passing ferries (also lit up as a part of the show), and a semi-decent view of the Harbour Bridge. Best fun run event in Sydney?